A METRORail and a car collided near NRG Stadium. 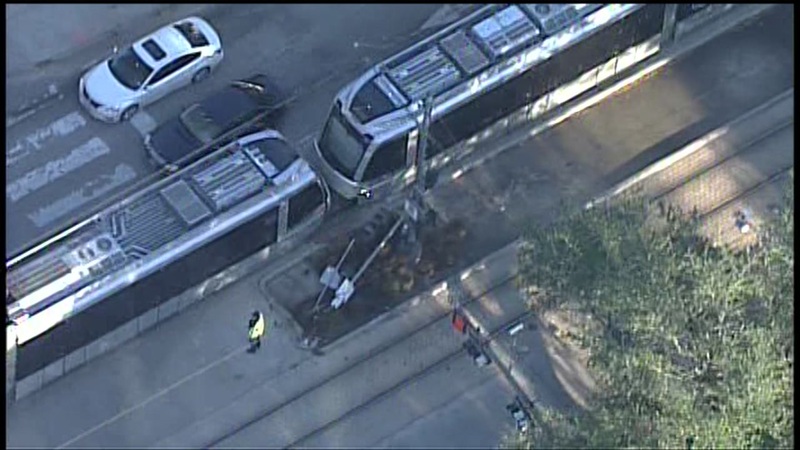 HOUSTON (KTRK) -- Officials say a car and a METRORail train have collided near the Medical Center in Houston. The accident happened around 7:45am on Fannin Street at Cambridge Street. Houston Fire Department says there is no immediate report of injuries. METRORail operations will be delayed as they work to clear the vehicle from the tracks.